When you think of a vehicle’s exterior, what’s the first thing that pops into your mind? Probably the color, right? Next you might think of the rims, the grill, the lines of the hood, and so on. But you probably don’t think of the windows. However, once you realize how much window tint can change and improve the looks of a vehicle, and how effectively it can improver performance, vehicle windows will be top of mind for you. 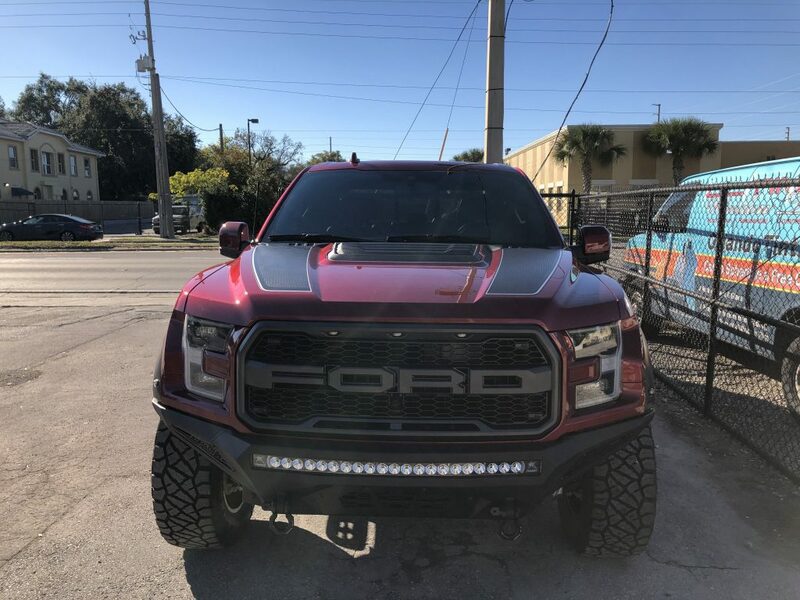 This Ford Raptor is looking better than ever thanks to the Formula One Stratos window film we applied, and if you live anywhere in the greater Orlando area, our window tint services are ready to help your ride look and perform its best ever, too. 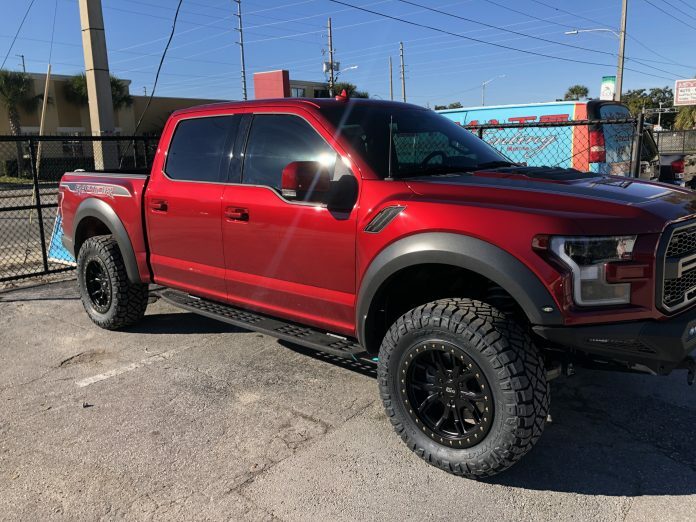 This Ford Raptor owner chose Llumar Formula One Stratos window tint because it offers five major benefits. The most obvious from outside of the truck is the aesthetic enhancement; the tint greatly complements the paint job. Second, this window tint adds privacy, keeping those within the vehicle largely out of site of other Orlando motorists. Third, this window film reduces the heat inside the cabin, keeping that hot Florida sunshine at bay. Fourth, Formula One Starts tint blocks 99% of the damaging UV light that can cause interior fading. And fifth, without reducing optical clarity, the tint reduces some of the sun’s harsh glare, making driving more pleasant and safer. 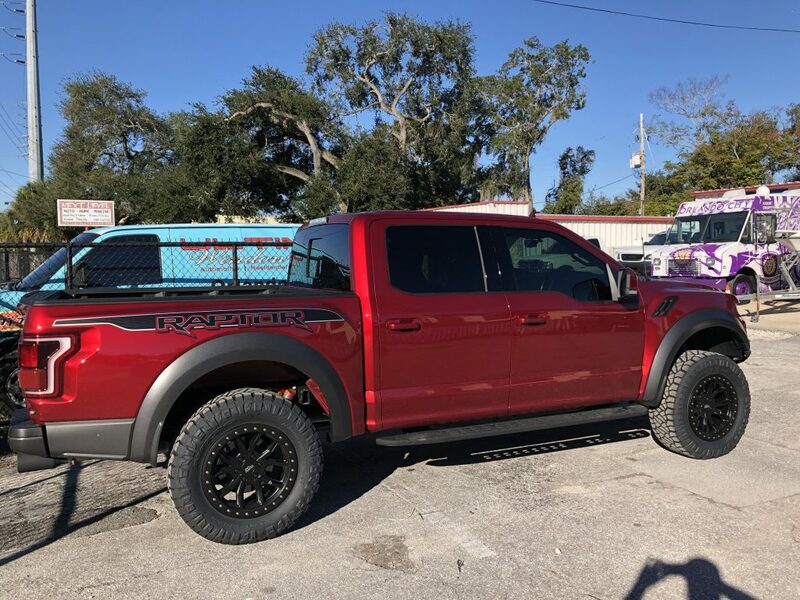 We are proud to offer vehicle paint protection in Orlando because we know our clients value their cars and want them looking their best for years to come. 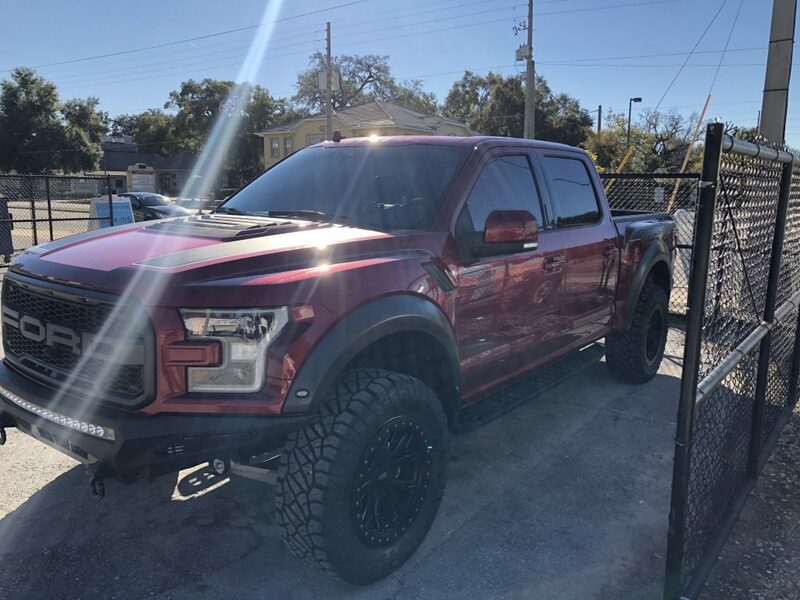 This Ford Raptor F150 is now protected from all sorts of minor cosmetic damage, such as what can be caused by bits of gravel bouncing around on the highway, scratches against a bush or tree branch, or dings from car doors. And if the clear bra film ever gets visibly damaged, we can remove and replace it, restoring the truck to its brand new look in a matter of hours. If you live, work, or drive near Orlando, our car window tint and paint protection services are at your service. And we’d love to talk through a tint or paint protection job with you and offer a free custom estimate. You’ll likely agree that the protection these products offer your vehicle are more than worth their cost, and they may even pay for themselves over time by preserving your vehicle’s value.